According to Nielsen trend reports, distilled spirits have experienced steady sales increases over the year of 2017, growing by 0.8 percent through December. Bourbon and Irish whiskey led sales across the brown spirits category, increasing at 5 percent and 8.9 percent respectively. Canadian whiskey made a mark, growing relatively in line with the category at 0.5 percent. Tequila was the most popular amongst white spirits, undergoing a growth in sales of 4.3 percent. Vodka sales also improved by 0.3 percent. “Premiumization is evident in all categories, however no category highlights this more than Spirits,” reports Scott Elliott, SVP at Nielsen CGA. “’High End’ spirits now account for 55% of total Spirits volume and 62% of dollar sales. 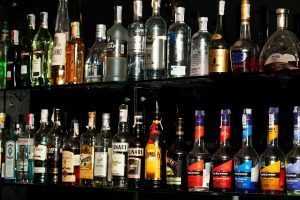 With dollar growth of +3.2%, ‘High End’ Spirits have brought an additional $807 million to the channel.” Distilled alcohols have continued to outperform wine and beer sales, establishing spirits as the largest adult beverage category by value.